The cheapest LGA 1366 board ever, but is it cheerful? There has been a battle brewing in the motherboard world, and predictably it's been between the Taiwanese motherboard giants Gigabyte and Asus. And the battle has been fought on the LGA 1366 battlefield. 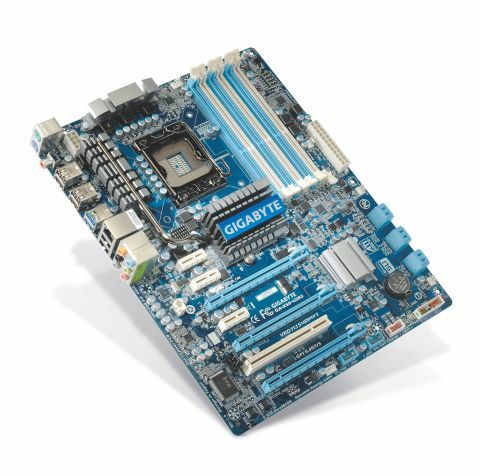 So Gigabyte hits back with the X58-USB3 motherboard, the cheapest full Core i7 board on the market. Performance of the full Nehalem Core i7s has never been an issue, but the cost of the platform as a whole has. With prices of DDR3 remaining high, the fact you needed three sticks of RAM to properly populate the X58's triple channel memory configuration, the price of the frankly awesome LGA 1366 CPUs and all bound with the cost of the motherboards meant that it was incredibly expensive as a platform. While chip prices haven't dropped that much, DDR3 prices have. And with Gigabyte and Asus battling it out for the volume segment of the X58 motherboard market, the price of the base boards has come down, too. This latest X58 from Gigabyte is by far the cheapest, though.